A Mary Skelter love adventure game. Compile Heart has released a “countdown trailer” for its recently launched “Latest Cute RPG” countdown website. 010 – The girls of Mary Skelter appear in school uniforms and swimsuits, with the protagonist in the background. 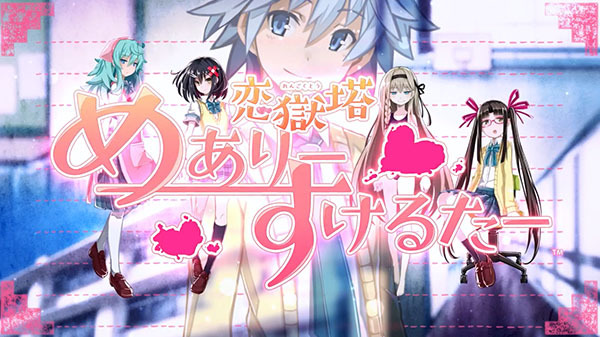 0:15 – A logo for Rengokuto Mary Skelter (Love Prison Tower Mary Skelter) appears on screen. This is the title of the visual novel leaked as included with pre-orders for Mary Skelter 2.